Zebbug is perched on a hill to the north of Gozo. Its name is Maltese for olives or olive trees. Zebbug is actually built on two adjoining hills, from where there are wonderful views of the Gozitan countryside and the Mediterranean. On a slope facing Gurdan Lighthouse, known as is-Saghtrija, The Wild Thyme Field, there was a deposit of onyx. It was discovered by the owner of the field in 1738. Many churches in Malta and Gozo have works of art sculpted out of this onyx. The village church, dedicated to Santa Marija, the Assumption, is literally covered with this semi-precious stone. The high altar, the choir, and the baptistery are all sculpted out of this onyx. This parish was established by Bishop Davide Cocco-Palmeri on 28 April 1688. The building of the present church was initiated in 1690 and it was consecrated on 30 September 1726. 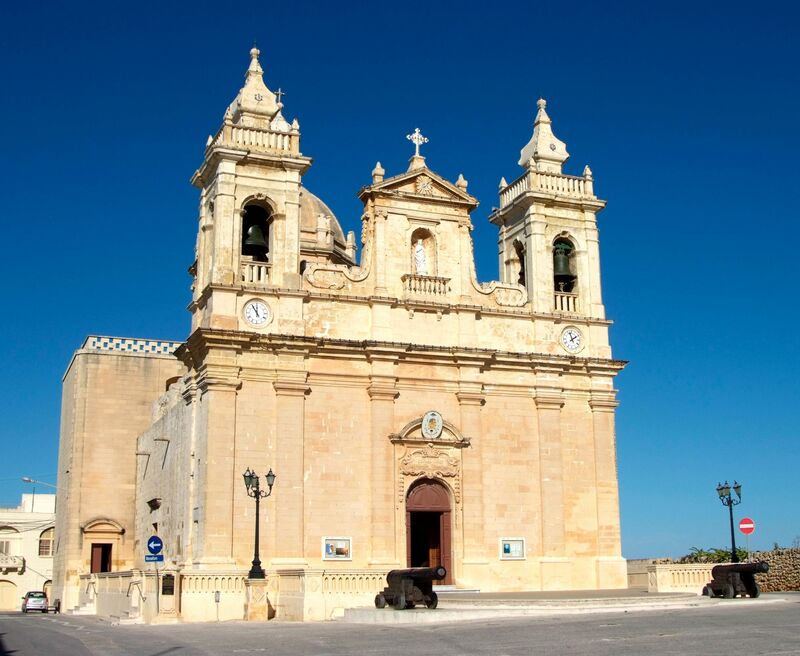 The Cathedral apart, it is the oldest parish church consecrated in Gozo. It was conferred the Archipresbyteral status on 12 March 1963. Worthy of special mention is the altar-piece of the Immaculate Conception in a chapel in the left transept, known by the people as tal-Virtut, of the miracles. Several folk can swear to this day, that they see the radiant face of the Virgin turning yellowish and pale before an impending natural catastrophe. It is also said that one day, when some corsairs dared to devastate the countryside as far as the village, a lady that resembled the image in the altarpiece appeared on the spot hurling stones to repel the foe. Iz-Zebbugin are known for the high quality of their bizzilla, lace; nsig, weaving; and kutri tas-suf, woolen blankets. The villagers are very proud of their religious heritage, as judged for example, from the priority given to the maintenance of street niches. The best is that of il-Madonna Omm tal-Hniena, better known as tac-Cicri.